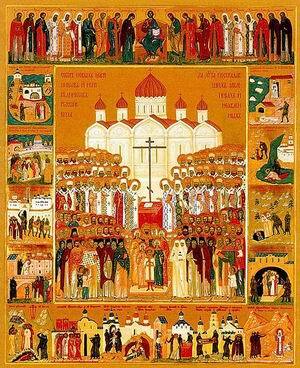 The day we celebrate and venerate the assembly of the new martyrs of Russia – know and unknown – is the 25th of January/ 7th of February if it is a Sunday or otherwise the closest Sunday after that date. Currently, every diocese in Russia is working to help collect information about those who suffered for their faith. Written materials are being prepared for canonization of those who have not yet been canonized. To get a better idea about the scope of these persecutions, we should turn to the statistics. They can be provided readily by the unique database “Sufferers for Christ”, developed by the Saint Tikhon Orthodox University. Today we offer an interview with the head of the information science department, prof. Nikolai Evgenievich Emelianov. - Nikolai Evgenievich, please tell us about where and how the work to gather information on those who suffered in the 20th century is being done. The collection of information on the persecutions of the 20th century is done in such big centers as the Synodal commission for canonization, “The memory of martyrs and confessors of the Russian Orthodox Church” fund and by Saint Tikhon’s University. The commission on canonization receives all the life stories of new martyrs, which are prepared by the dioceses, and examines them. Then they decide either to send them back for additional work to be done or they propose them for canonization at the next meeting of the Holy Synod. Thus, the commission holds the hagiographies of new martyrs and the life stories of those who they are preparing to canonize as saints. So far, 1596 people who suffered for their faith have been canonized. The commission also publishes “Lives of the Russian new martyrs of the 20th century”. The main task of the Fund is - “to prepare all-exhaustive biographical materials, which will help canonization”. Seven volumes with 900 biographies have come out. The Fund is presented on the website - www.fond.ru . The database has been used in University studies and publishing for about 15 years. Examples of its use can be separated into groups by search methods: simply by one criterion, statistical facts and search with several criteria, and complex search with additional help of other databases. The first big project for which the database was used was for publishing a book in 1993 about the St. Tikhon. The database also allows for generating a list of people who were charged together, those who served in the same region, city, or church, those who went to school together, etc. Additionally, one can look up where a specific fact or figure came from – whether this was from the government archives or University archives, for instance. The database “Sufferers for Christ” is also a valuable resource for the development of new church iconography. 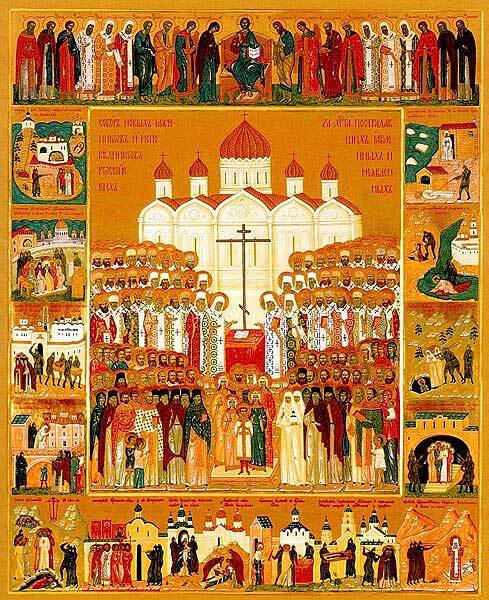 Especially for the Council of 2000, our University was blessed by the chairman of the Synodal commission for canonization to paint the icon “20th Century Russian Martyrs and Confessors”. The icon was painted in the University studios under the direction of the University dean fr. Vladimir Vorobiev and the head of the Church Art department fr. Alexander Saltykov. Approximately 1000 photos were taken out of the database and 100 faces were drawn on their basis. One of the other icons drawn- of Metropolitan Cyril (Smirnov) shed drops of myrrh on the first day he was celebrated by the church on November 20th 2000. All those who were present in church that day remember this with trepidation and joy. We have information about repressions against 440 Church hierarchs . Out of that number, 237 were murdered or died from torture. But even these large numbers among Orthodox hierarchs are FAR from being all-inclusive and in the future more and more will no doubt be discovered. The graphs show that the repressions against the hierarchs were of a planned and regular nature. Thus, one can see that the fluctuation of repression intensiveness from 1.5-2 from 1923 to 1936 doesn’t show any specific repression patterns, but rather testifies to the fact that there was one big, perpetual blow against the hierarchs on the part of the regime. An example of such a person who hurried to do good things in the name of God in times of severe trials was Agrippina Nikolaevna Istniuk. She was blessed by hieromonk Simeon (Holmogorov) and her parents to go with her spiritual father Pavel (Troitsky) to his place of exile. Vera Maksimovna Sytina saved her fiancée Sergei Iosifovich Fudel from death in prison camp. Elisaveta Aleksandrovna Samarina went with her father, prosecutor of the Synod, to exile in Yakutia. These are just several examples of many women’s fates. Thanks to the database, we can compare percentages of those who suffered among alumni and professors of the nine Russian Universities. The results can be called “pedagogical work” on the part of the powers to be and also an evaluation of the corruptive and demoralizing work of the particular Universities. The data shows that the highest percentage of sufferers were from MSU (Moscow State University) – 4.5 %, SPSU (Saint-Petersburg State University) – 3 %, and Kazan University – 2.7 %. It is also interesting to compare the results of the PSTGU database with the Synodal commission’s results, which gets its information from diocese hierarchs. The results upon comparison of these two sources are almost exactly the same. Repressions by University department (all Universities). History and philological - 9%, law - 2%, physics-mathematics - 1,5%, medical - 1,5%. This noticeable difference in percentages can possibly be explained by the fact that there were six times more believers among history and philology majors than mathematics, physics, and medicine majors. However, the more likely reason is that they (being considered ideological workers) were pursued more and punished more harshly. This is the most plausible explanation. Table 1. Numbers of sufferers by name from “Sufferers for Christ” database. It is perfectly natural for church-going people to want to venerate and remember the new martyrs for Christ on the days of their death. On the PSTG University website it is easy to generate a list of all those who died on any given day. There are anywhere from 20 to 161 people for every day of the year. The biggest repressions happened on the 17th of February and 28th of December. 161 people were died on the 17th (151 of them shot), 113 were arrested. On the 28th of December 399 people were arrested and 81 died. 29.000 names in the database . In order to appreciate the amount of names currently in the database – 29 000 – it is important to look back to the history of how the collection process began. In 1989, the Synodal commission for rehabilitation of lay and ministering people began its work after the Patriarch and Church hierarchs called out to all the faithful to provide any known information. The response was astonishingly low. Repressions and the war did their job well – practically erasing all memories of these martyrs and confessors. Out of hundreds of thousands less than a thousand were named by others as relatives. Of course in the early 90s many old people still didn’t believe that there would be no more repressions, but really the most important reason why so little information came was because the link of generations was broken and the witnesses either died or kept quiet during their lifetime. In 1992, the Orthodox Saint Tikhon’s Theological University was created and at this point the commission was effectively non-existent because no one sent letters with relevant information. 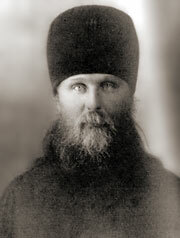 That same year the Patriarch of Russia, Aleksei, handed over the work on studying the history of the 20th Russian Orthodox Church and information on its martyrs to the University. The archives of the commission were sent there and work began. It seemed as if it’s impossible to get even 5 000 names, although it was obvious that hundreds of thousands suffered. The next fifteen years brought about 27 000 more names. And despite expectations, the speed of collection is not decreasing, but increasing. The database “Sufferers for Christ” is presented in the Internet starting 1996 at www.pstbi.ru. After 10 years of non-stop functioning, 500 000 people have visited it. A new phase has ensued. The database, in a way, is beginning to fill itself up. Often, people who had some sort of connection with the new martyrs find the database. They see that what they knew about the martyrs (often not seen as very solid or completely true) actually took place. Then they are quick to share their delight at having discovered these memories and facts. Following are excerpts from letters received in one week. · « I found out the date my grandfather was murdered from the Vitebsk diocese website. When I asked to see the chronicles and documents connected to my grandfather I was told that all the information they have is from the PSTGU website and everything I need is there. As a result of my correspondence , I later received invaluable copies of old photographs . 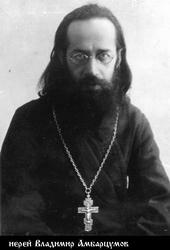 We got news from the Karelia region about a priest who was shot on the 3rd of December, 1937 in Belbalt prison camp. He was originally from Volynshina and served in the Zhitomir region. In the early 90s we got the first letter about him from a priest’s widow from Orel . She wrote : “Father was sent to Solovki and at first we got letters from him, but they later ceased. When we inquired as to what was going on, we got a response that fr. Seraphim has been sent to a different place without the right to move”. But now the children and grandchildren can finally find out the date fr. Seraphim died, his exact fate – something they have prayed for for more than fifty years. 70 years of repression against faith - still only a short moment in history . The hieromartyr Cyprian wrote in the 3rd century: “As a result of the confession of Christ’s name, disasters cease and joy begins, the kingdom opens, punishment stops, death is driven away and new life appears. Martyrdom is high in God’s eyes and it is especially important now, when the world is devastated and in destruction, when nature itself testifies to this last destruction”. These words, it seems, are directed to us – 18 centuries later. They show that only as a result of the feats of martyrs does our Church stand today and life keeps going. We don’t remember these martyrs ourselves, but they pray for us every day and appear to us: in archives, prison photos, and memoirs.